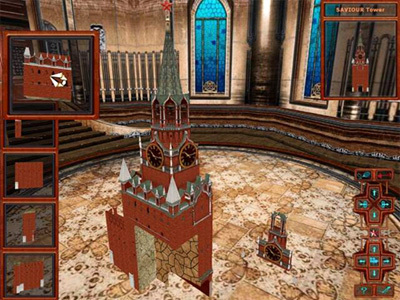 Nice 3D puzzle on fashioned russian theme – Moscow Kremlin, Tsar-Cannon, Tsar-Bell and others. Goal is to assemble 3D object from pieces. Convenient mouse controlled interface makes it easy to operate by pieces and join them together. Nice graphics, amazing theme. You can turn gravity on-off and thus select your favorite design mode. Well-balanced piece sets will bring you a lot of pleasure minutes on several levels of skill.y wizard and have to pass mystical world of a number of planets. Complete dangerous world and return home! Game can serve as an exciting meccano for both kids and adults.